Love this shot! Really like the textures, colors and how it's composed! Super simplicity and great textures. Really like this. What a lot of lovely textures! oh they must have some great stories to tell! So that's what it's supposed to look like!! Lovely. Wonderful textures and colours, blue and brown my fav! Nice composition and details in the floor and shoe. Love the textures. I am sure they must be such comfy shoes. 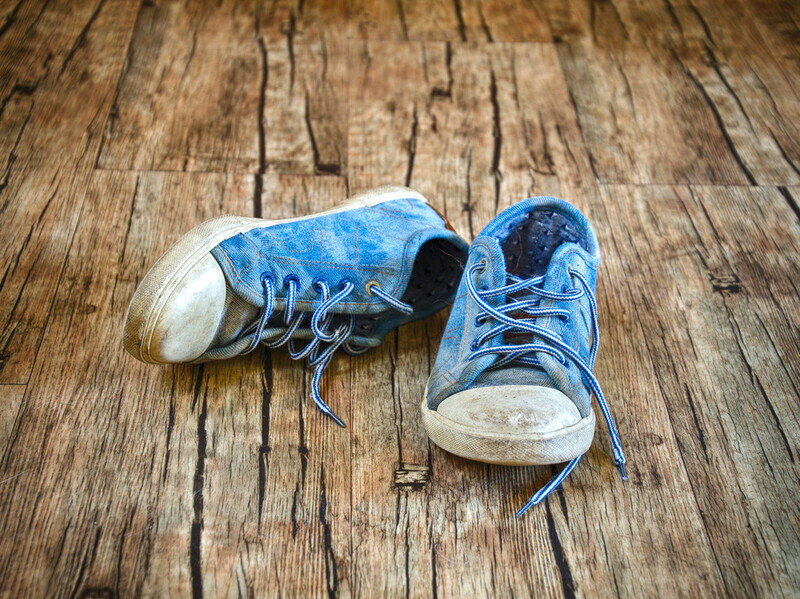 Nothing like a comfortable pair of well worn-in shoes. A very cool shot,love the blue shoes. Great idea to use those shoes on that flooring. Worked well. Fav. Beautiful in its simplicity. And the colours seem just right too. Fav! I like how the hdr has brought out some great details and made the color of the sneakers pop.